Searching for a way to finish a contemporary property? Or looking to add a feature wall to make your room more interesting? If you’re like many homeowners or interior designers, the chances are you want to use natural stone into your project, whether it’s incorporated into the flooring or walls.Slate wall cladding is a great way to bring style and sophistication to any space. In particular, it’s excellent transforming dull brickwork into a contemporary work of art. If you love the idea of using Brazilian slate, Brazilistone have strip wall cladding available at highly competitive prices, with three beautiful colours to choose from. Generally inexpensive, Brazilian slate is a wonderful way to update your space, whether it’s used for paving, cladding or tiling. Suitable for interior or exterior use, our slate wall cladding looks smart and sophisticated and can complement all sorts of spaces. Ideal for kitchens, bathrooms, showers and wet rooms, our slate wall cladding is highly weather-proof and non-corrosive. It’s also ideal for framing antique fireplaces or cladding an external wall. 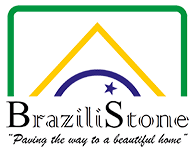 Whether you’re looking to use it as flooring, skirting or internal and external wall cladding, Brazilistone can offer slate wall cladding of the finest quality. 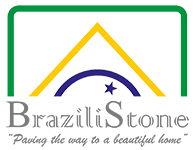 Read more information on our slate wall cladding today.